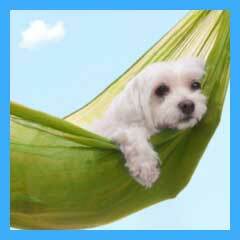 Here at Magic Grooming & Pet Resort we provide Day Care and Pet Hotel/Resort services. The Day Care service is used by people who do not like leaving their pet at home alone, are remodeling their Miami house and need to keep their pets safe, or simply want to treat their pets to a wonderful and fun stay at our Miami Pet Day Care. You can leave your pet with us for a few hours or for the full day – no matter how long the stay is, your pet will feel loved and will have a blast at our facilities. Our Miami Pet Hotel/Resort service is meant for stays that are longer than one day. We provide pets with a comfortable and safe stay. People who are in the process of moving, vacationing, or traveling due to business leave their pets with us. There is no limit on how long a pet can stay with us – we guarantee that your pet, whether dog or cat, will love their stay here.